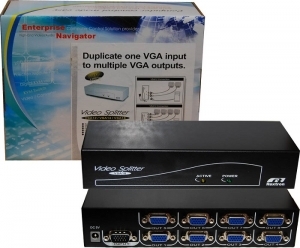 VGA Splitters, broadcast and boost one VGA signal source for 8 VGA monitors. There is no software or interface card to install. 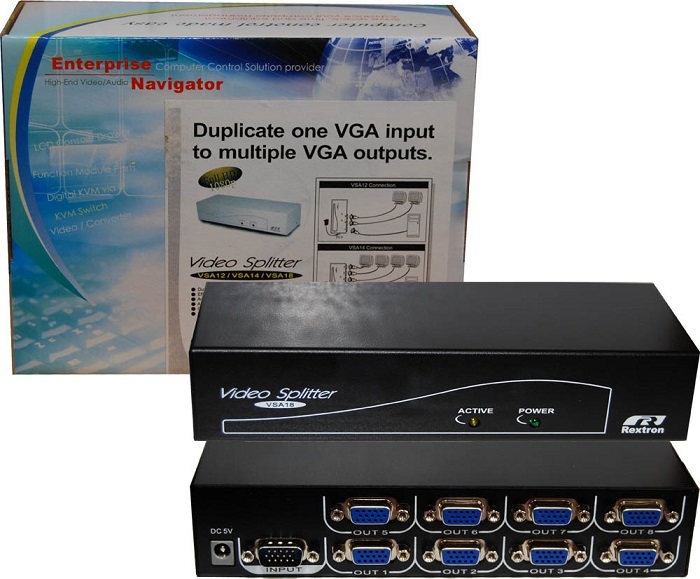 Simply connect the cables, power up the system and you are ready to duplicate VGA images to multiple monitors with excellent clarity. Superb high bandwidth circuit enables a high resolution VGA signal of 350 MHz to be displayed on multiple monitors. • Cable Length Supported: 65M Max.